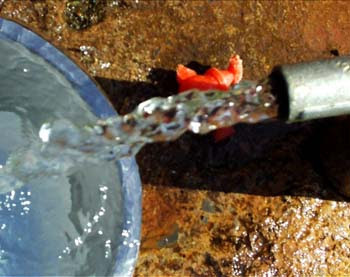 Any Time Water is a machine that dispenses clean water 24X7 at very low cost. Now that's the kind of technology we need , right now. It's only mid - April, but Hyderabad is reeling under a heat wave with the mercury hitting 39 degree celcius. And, adding to the woes of locals is an acute shortage of water. How acute is the shortage? Consider this: the government supplies water to every house premise for 1 hour, 3 times a week. Considering every house has 3-4 apartments which means 3-4 families, this 1-hour of water supply, when distributed among the families, gives only enough water to drink. And thats what everyone does: store and save the water for drinking. For the rest - bathing, washing clothes, homes, utensils, water plants, if you have any and bathing pets - you either dig a bore well, or buy from private water suppliers. In either case, the water either has high level of alkaline or fluoride. In fact, the water supplied by private tankers (they charge INR 400 for about 2000 liters) you don't know where they are bringing it from and how polluted it is. Don't want it? Then sit at home and sulk. Nobody gives a damn! 'Nobody cares.' Well, this is pretty much what I always felt, until I heard of a village not very far from here getting Any time Water. Now, everyone knows of Any Time Money. But Any Time Water? Well, in a nutshell, its a machine that dispenses water, any time you want! The ATW machine is an innovation that uses the reverse osmosis (RO) technology to purify the water. The system also uses Global Positioning System (GPS) technology with SIM cards. The user who will have an ATW card (redeemable/rechargeable) which looks just like an ATM card. To get water, the user has to get his ATW card ‘recharged’ in advance by paying at the rate of INR.3 for 20 liters. Sounds incredulous, isn't it? Apparently, it actually works! In fact, a couple of weeks back, Venkatapur - a village not very far from Hyderabad got a ATW which was set up by a local NGO called Bala Vikasa Social Service Society. The NGO was quick to hand it over to the local community - a wise step, considering its the community that needs to be involved and take ownership if the system has to really work. 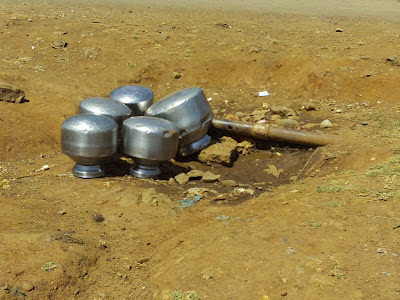 Now, all the 750 families in this village, who until two weeks back cried for every drop of water, are now getting 20 litres of purified water for just Rs. 3. When I learned of this, my first thoughts were "clean water, 24x7 and at affordable cost? now this is the kind of technology India needs to invest in, right now. Not just in Hyderabad, but everywhere else! 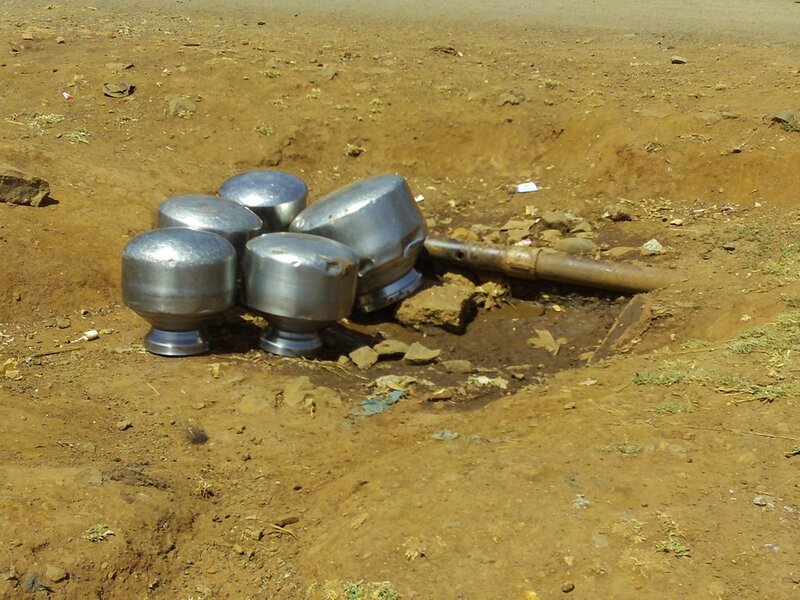 Meanwhile, the villagers of Venkatpur are enjoying their buckets of healthy, fluoride-free water. The women of the village are particularly happy as fetching water is always a woman's job. hAs Madadi Subbamma, a woman says, "having access to safe drinking water in our village has been a dream come true for us." And Now, Goddess Durga To Kill Global Warming Demon!!! Unique Celebration of Lakshmi Puja in NE India! "Do they eat Fetus in China?" Fighting desertification: how about some regional cooperation? Maoists 'pro-tribal' Bandh? Well, I call it a farce!